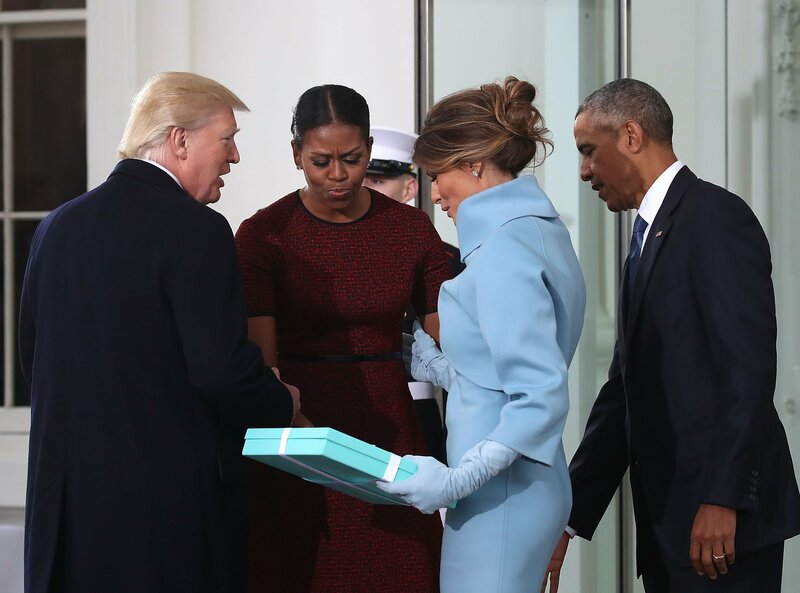 Former first lady Michelle Obama appeared to cast fun at first lady Melania Trump again Tuesday on “The Tonight Show” over an exchange the two had on Inauguration Day when Trump handed Obama a baby blue Tiffany & Co. boxed gift. Host Jimmy Fallon asked Obama what was going through her mind as she and her husband, former President Barack Obama, waved goodbye from Air Force One after the inauguration. “So there was that and the Tiffany’s box … it was just a lot,” Obama said, as she made a face in apparent attempt to take a swipe at Trump and the exchange the media deemed “one of the biggest mysteries of the Trump administration,” and one that “befuddled” the Obamas. Many on Twitter had fun postulating at the time what could be inside the box, with guesses ranging from Cheeto dust to a note that says “take me with you” to President Donald Trump’s infamous tax returns. Eventually it emerged on The Ellen Degeneres Show that it was a “lovely frame,” but Obama also added she felt uncomfortable during the exchange because it wasn’t protocol for the moment. “I was like, what do you do with the box?” the former first lady added. 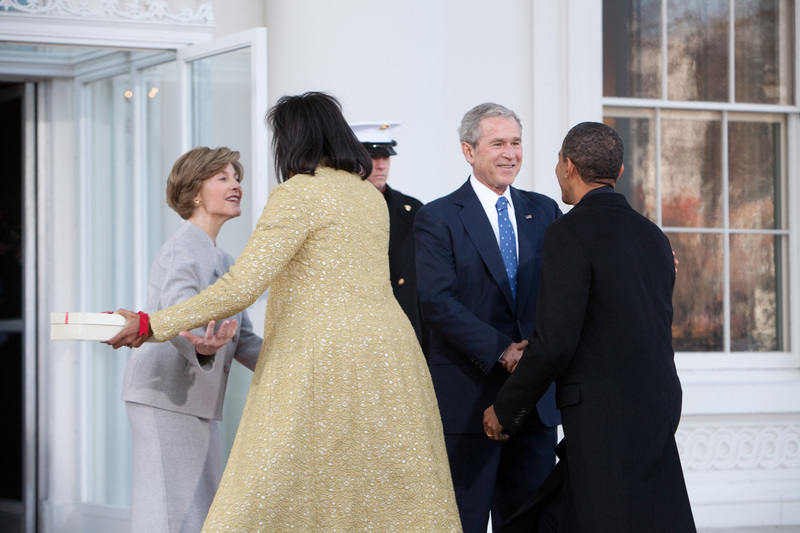 But after Obama brought up the viral gift exchange again on Tuesday with Fallon, CNN White House reporter Kate Bennett pointed out Obama did the same thing at the same event in 2009, when she and her husband greeted former President George W. Bush and former first lady Laura Bush on the steps of the White House. “It was sort of a rude thing to say, I thought; Melania Trump was just trying to be nice; she didn’t need to make fun of her for it. But whatever,” Bennett wrote in her newsletter.